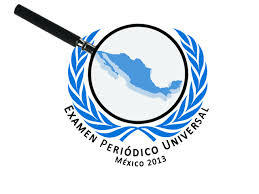 On 20 March, the Mexican government presented in an addendum its observations regarding the 176 recommendations it had received in October 2013 during its evaluation before the Universal Periodic Review (UPR), which took place during the 25th period of sessions of the UN Human Rights Council. The UPR is a mechanism of periodic evaluation of the UN HRC, created in 2006 to consider the situations that prevail on the question in each of the 193 member-nations. The Mexican State affirmed that “there has been a large acceptance of the recommendations made by the member-nations.” It added that the federal government would design a mechanism coordinated with governmental institutions that would guarantee the participation of civil organizations to evaluate progress on the recommendations. It noted that said recommendations were taken into account for the construction of the National Program in terms of human rights that will soon be presented. Regardless, civil-society organizations lamented that Mexico has rejected observations on questions “such as the elimination of ‘community control’ and the recognition of the competence of the Committee on Forced Disappearance to receive individual complaints.” They noted that, the optimistic view of the authorities notwithstanding, the human-rights situation in Mexico continues to be grave. Sesión completa de México ante el Consejo DDHH: Mexico, UPR Report Consideration (61 min. ).